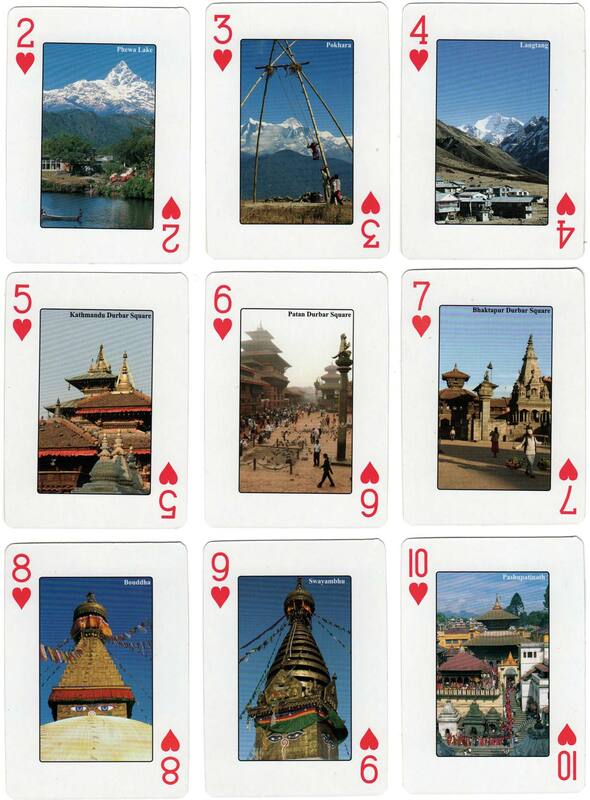 Souvenir from Nepal marketed by Himalayan Map House (established 1997) to promote Himalayan tourism. Every denomination of card carries the same image, thus 13 photographs are repeated across the four suits. 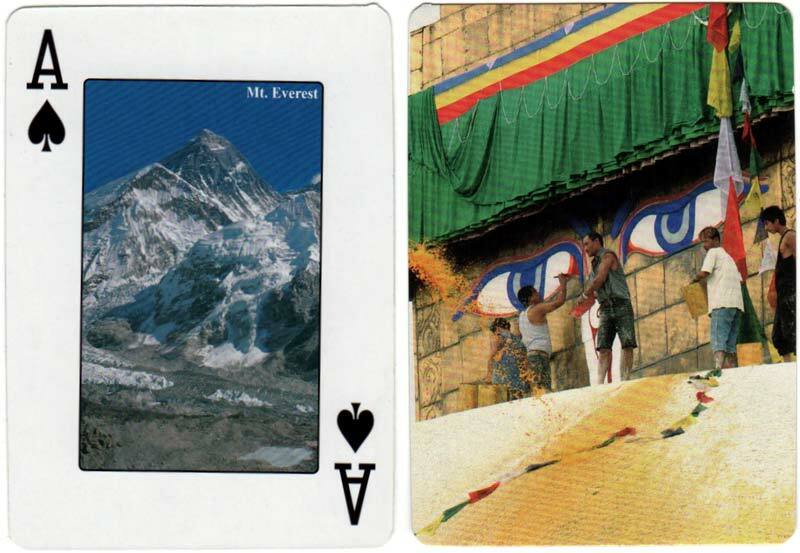 Above: Souvenir from Nepal marketed by Himalayan Map House. Images courtesy Matt Probert.